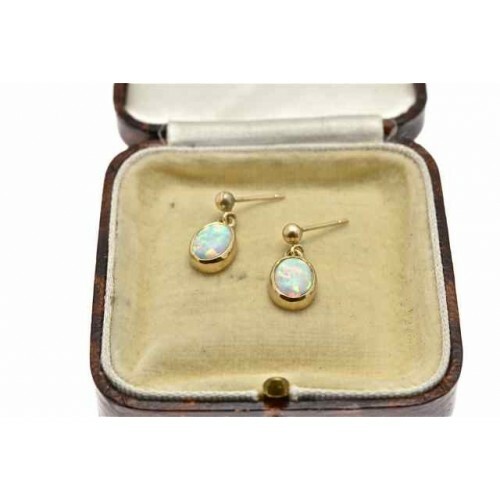 9ct. 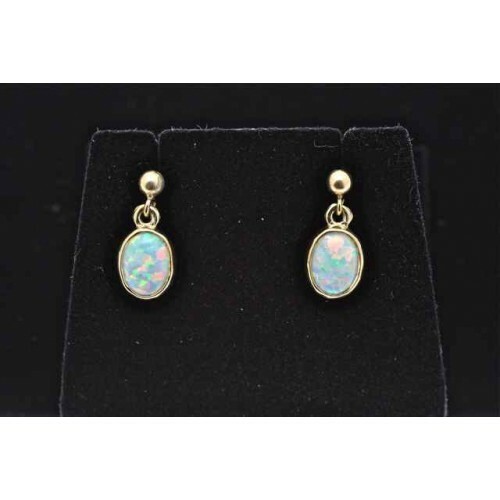 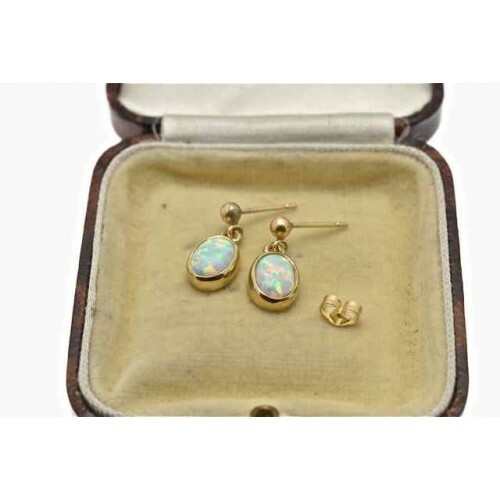 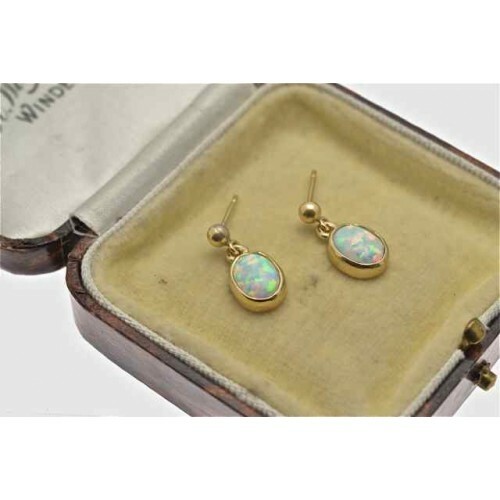 gold Opal drop earrings. 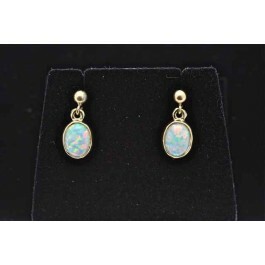 9ct gold opal drop earrings, simple design, a cabochon oval shaped Opal suspended from a gold bead.